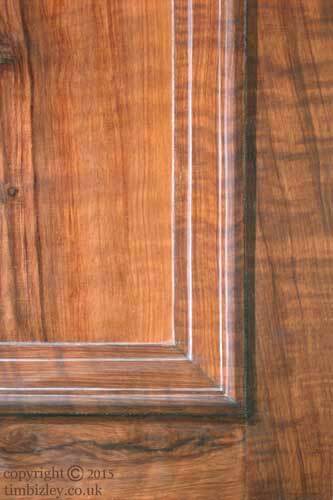 An expensive cut of walnut imitated with a paint effect set off within an illusionistically painted trompe l'oeil panel. 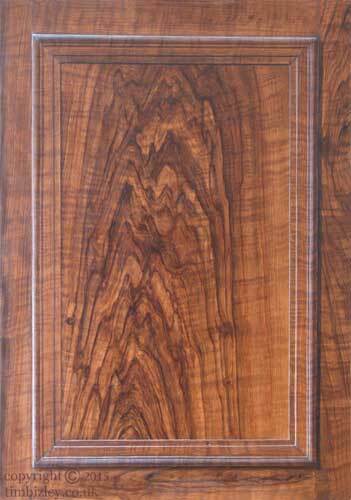 This is a busy and expensive cut of walnut usually reserved in its solid form for gun stocks and wood turning. Also used as an expensive veneer for small cabinetry items. The wood paint effect was carried out with the traditional method of pigments ground in beer then overworked in oils.